Less than a month after winning its first FDA authorization, 23andMe is expanding beyond direct-to-consumer genetic testing by creating a new therapeutics group, and appointing Genentech’s recently retired evp of research and early development to lead the new unit. Richard Scheller, Ph.D., has been named 23andMe’s CSO and head of therapeutics, effective at the beginning of next month. At the new 23andMe Therapeutics, Dr. Scheller will be charged with building a dedicated R&D team that will apply human genetic data toward new therapies for both common and rare diseases. 23andMe said it will link the work of the new therapeutics group with its research platform, which the company says includes the world's largest consented, re-contactable database. That database includes almost 900,000 customers who have contributed more than 250 million data points of information. Over 80% of customers chose to opt-in to research and answer questions, according to 23andMe. “The same way we are transforming the way people access and understand their genomes, we hope to transform the way we discover and develop novel therapies. By starting with genetic information and understanding the basics of disease, we hope we can make discoveries that will have a meaningful impact on society,” 23andMe CEO and co-founder Anne Wojcicki said today in a post on the company’s blog. 23andMe’s hiring of Dr. Scheller comes some two months after the company launched separate collaborations with a pair of drug developers. On January 12, 23andMe said it gave access to its research platform to Pfizer under a collaboration that will include genome-wide association studies, surveys, and clinical trial recruitment. The partners agreed to undertake a longitudinal study designed to better understand the genetics of lupus by enrolling and genotyping 5,000 people into a new lupus research community. That effort will include integration of medical records, targeted bio-sampling along with genetic information for all participants. Six days earlier on January 6, 23andMe joined with Genentech in a partnership to generate whole genome sequencing data for about 3,000 people in 23andMe’s Parkinson’s disease community. The company said the multiyear collaboration—whose value has not been disclosed but according to one report was worth $60 million—was intended to identify new therapeutic targets for treating Parkinson’s disease. 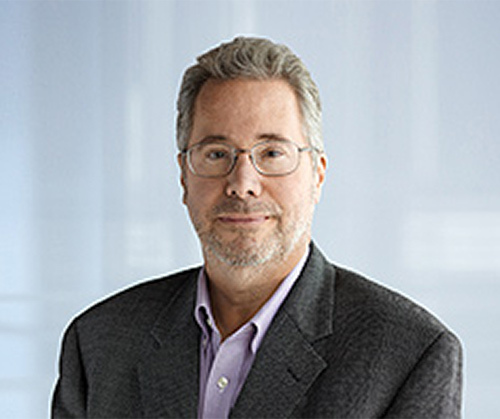 Dr. Scheller retired in December 2014 from Genentech, a Roche subsidiary, after 14 years with the company—the last six as evp of research and early development. In that position, he led the company's research strategy, drug discovery, business development, and early drug development activities through proof-of-concept in the clinic. Dr. Scheller also oversaw Genentech’s basic research around oncology, immunology, neuroscience, and infectious disease. Dr. Scheller served on the faculty of Stanford University for 19 years as a professor in the department of biological sciences and the department of molecular and cellular physiology and was an investigator at the Howard Hughes Medical Institute of Stanford University Medical Center. Since 2004, Dr. Scheller has also served as an adjunct professor in the department of biochemistry and biophysics at the University of California, San Francisco. He has published more than 280 research studies. For his work elucidating the molecular mechanisms governing neurotransmitter release, Dr. Scheller has received several awards—including the 2014 California Institute of Technology's Caltech Distinguished Alumni Award, and the Albert Lasker Basic Medical Research Award a year earlier. Dr. Scheller was awarded his Ph.D. in chemistry from Caltech, and completed postdoctoral fellowships at the school’s division of biology, as well as at Columbia University’s College of Physicians and Surgeons, where he specialized in molecular neurobiology.